AUSTIN, TX -- Fingerprinting drivers for ride-hailing companies must continue in Texas' capital city after voters rejected a $9 million campaign by Uber and Lyft to overturn the safety measure. Both Uber and Lyft threatened to leave Austin, which hosts major annual events such as the South by Southwest and Austin City Limits music festivals, on Monday after Saturday's defeat, the Austin American-Statesman reported. "Lyft and Austin are a perfect match and we want to stay in the city," Lyft spokeswoman Chelsea Wilson said in a statement. "Unfortunately, the rules passed by City Council don't allow true ridesharing to operate." Voters decided to keep city rules that require ride-hailing company drives to undergo fingerprint-based background checks by Feb. 1, 2017. Austin also prohibits drivers from stopping in traffic lanes for passenger drop-offs and pick-ups, includes requirements for identifying vehicles for hire and imposes data reporting on the ride-hailing companies. The finger-printing question was the key fight in the campaign, and spurred the most expansive campaign in city history. Austin appeared to be the chosen battleground for ride-hailing companies that are facing similar restrictions in major cities across the country, including Chicago, Los Angeles and Atlanta. Uber recently threatened to Houston, which requires drivers to be fingerprinted, drug-tested and undergo a physical before they can drive for the service. Advocates for fingerprinting say it's the best way to weed out drivers with criminal records. Ride-hailing companies have said their background checks suffice and that fingerprint databases can be out of date. Fingerprinting can also slow down the process of quickly adding new drivers. "Uber, I think, decided they were going to make Austin an example to the nation," said political consultant David Butts, who led the Austin campaign to defeat the repeal. "And Austin made Uber an example to the nation." Uber Austin general manager Chris Nakutis said the company was disappointed to be shutting down operations in Austin. "We hope the City Council will reconsider their ordinance so we can work together to make the streets of Austin a safer place for everyone," Nakutis said. Ride-hailing companies may try to go around local governments if they can; in 2015, they pushed for a statewide ride-hailing regulation bill for Texas and could try again in 2017. State Sen. Charles Schwertner, a Republican, announced Sunday he will file legislation to create statewide regulations of ride-hailing companies, which he considers an effective weapon against drunk driving. The companies "can no longer operate effectively through a patchwork of inconsistent and anti-competitive regulations," Schwertner said. Austin Mayor Steve Adler, who had urged defeat of the ordinance repeal, said he hopes to get Uber and Lyft back to the city's negotiating table. 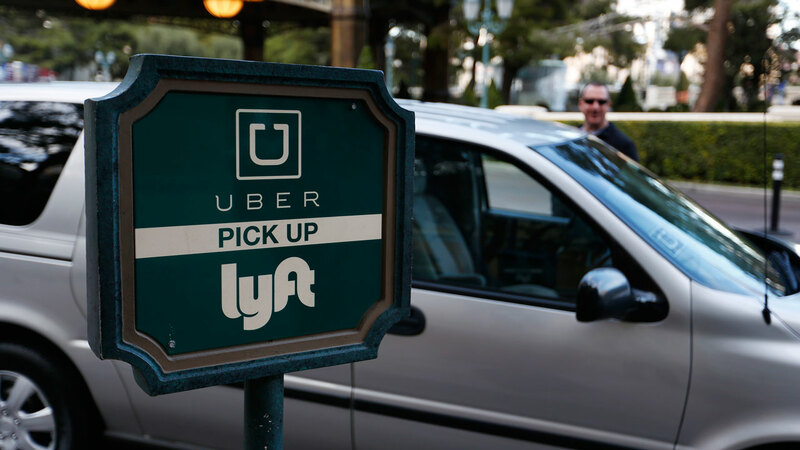 "We're at a place right now where we welcome Uber and Lyft to stay in the community, and I hope that they'll continue to talk with me," Adler said Saturday night.